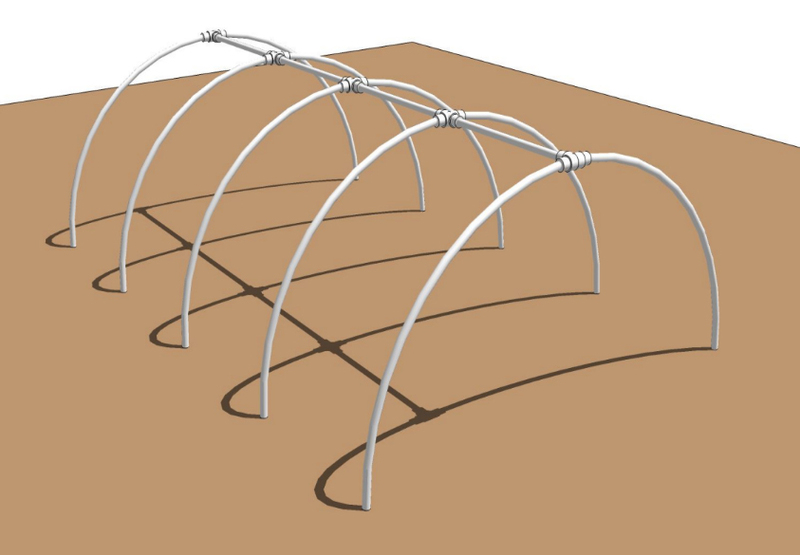 Space Tunnel’s foundation is a rib cage of PVC pipes, known as a “monkey hut”. 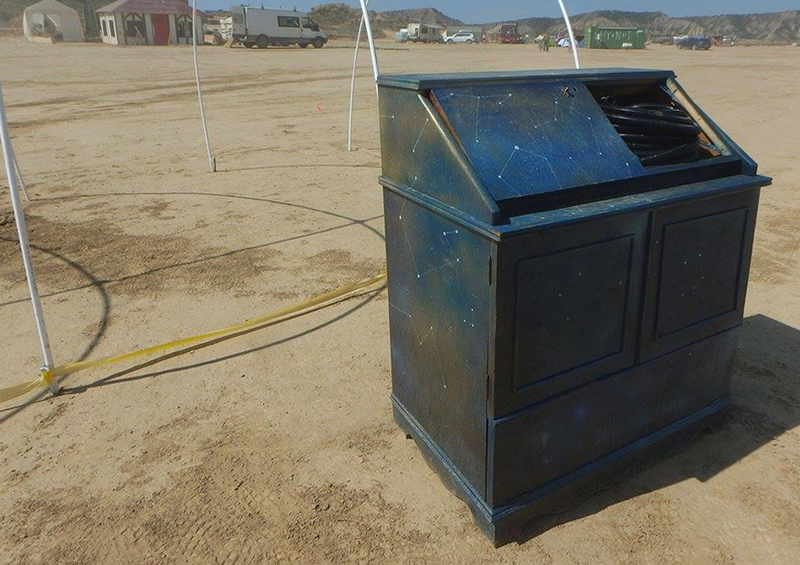 This is a structure commonly used at Burning Man because it is designed to withstand high winds. 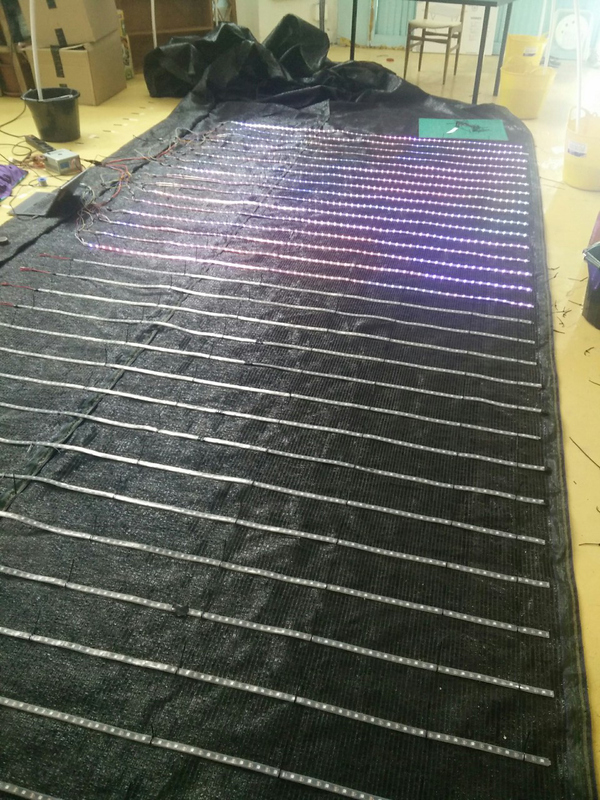 Inside the tunnel, there are 96 strips of ws2812b RGB addressable LEDs – 46 strips on each side of the tunnel, meeting in the middle at the top. 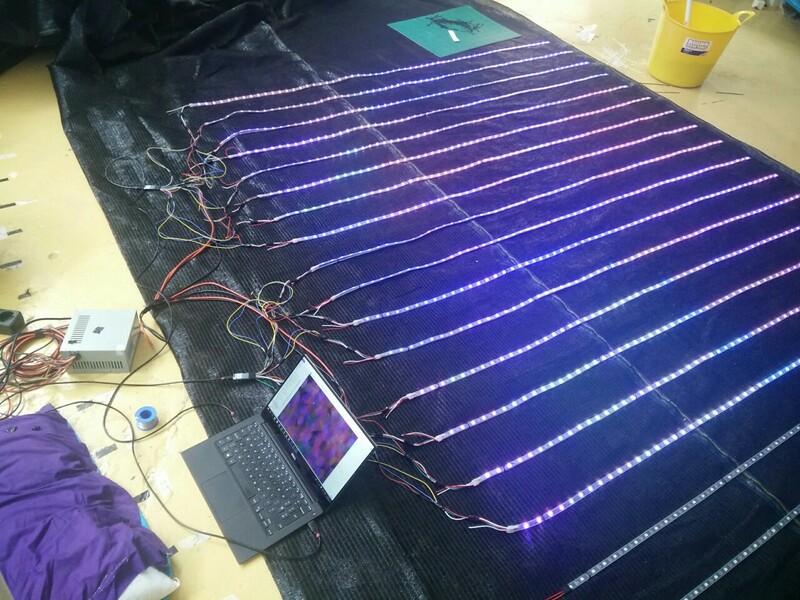 Each strip is 2m long and has 60 LEDs, making a total of 5760 lights. 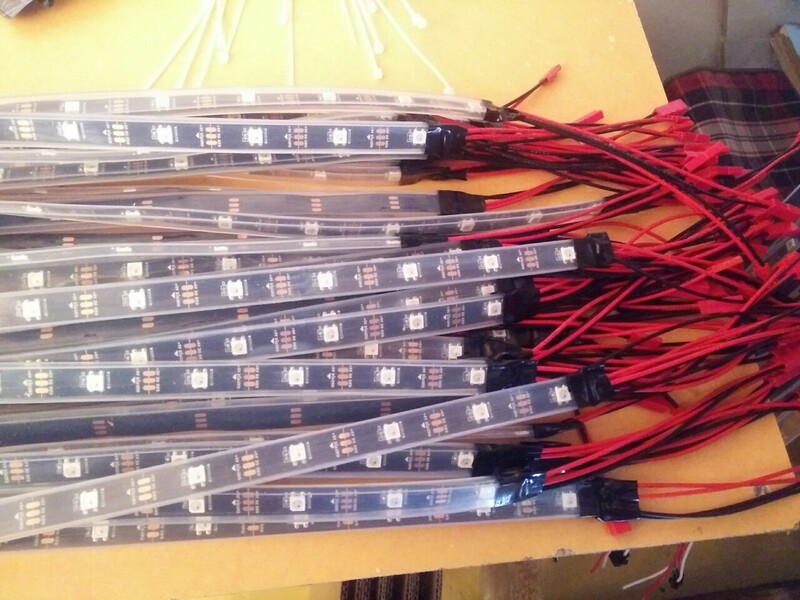 I soldered up connectors for power and data to the end of each strip (more info on this in the Hardware section). 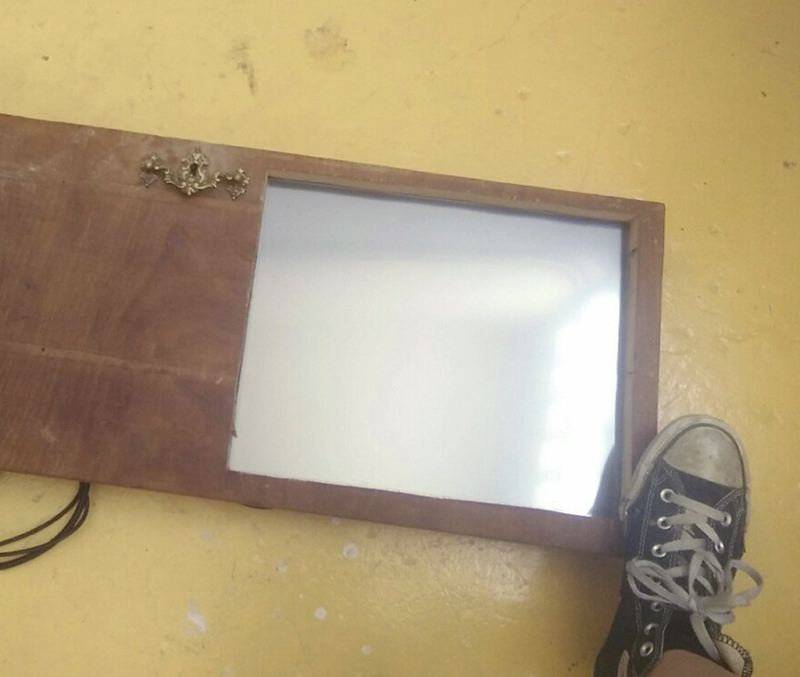 The strips were attached to shade cloth, using zip ties (so many zip ties). 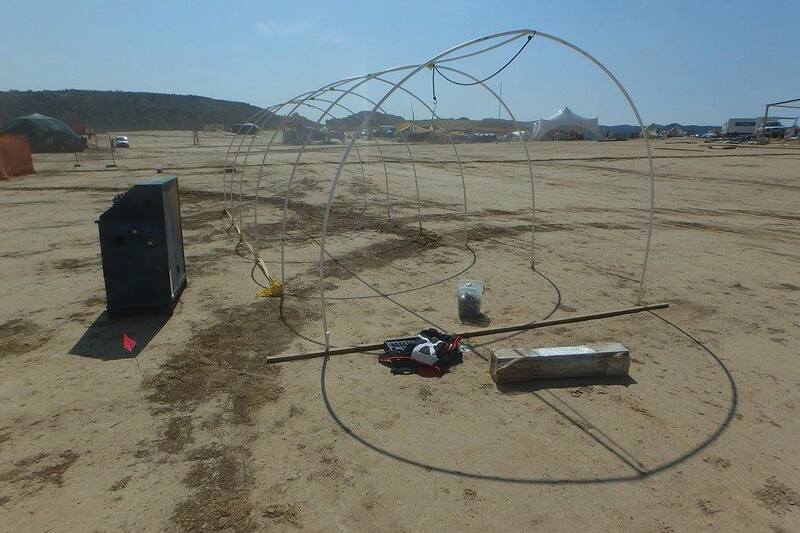 The shade cloth is draped over the PVC pipes, with the lights facing inwards. 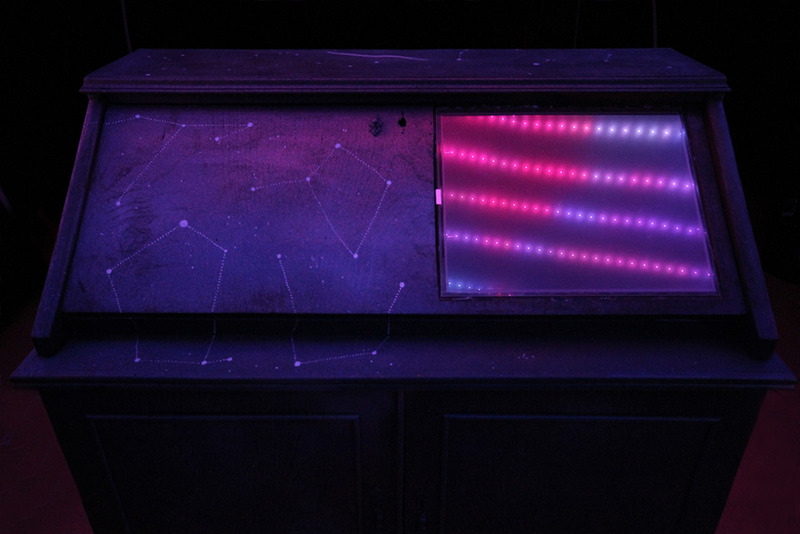 Then I pinned fabric in front of the lights, to diffuse and soften the glow. 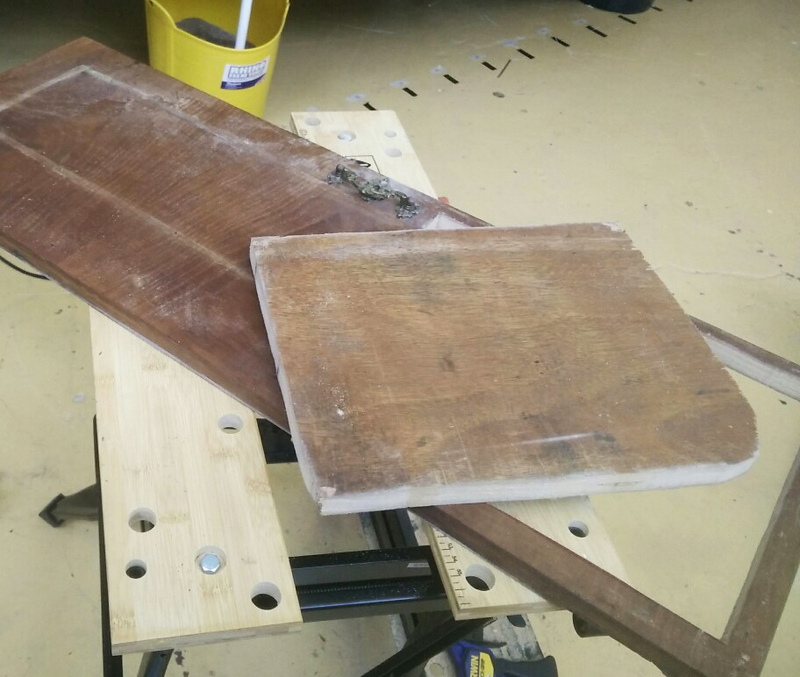 Just inside one end of the tunnel is a wooden bureau desk. 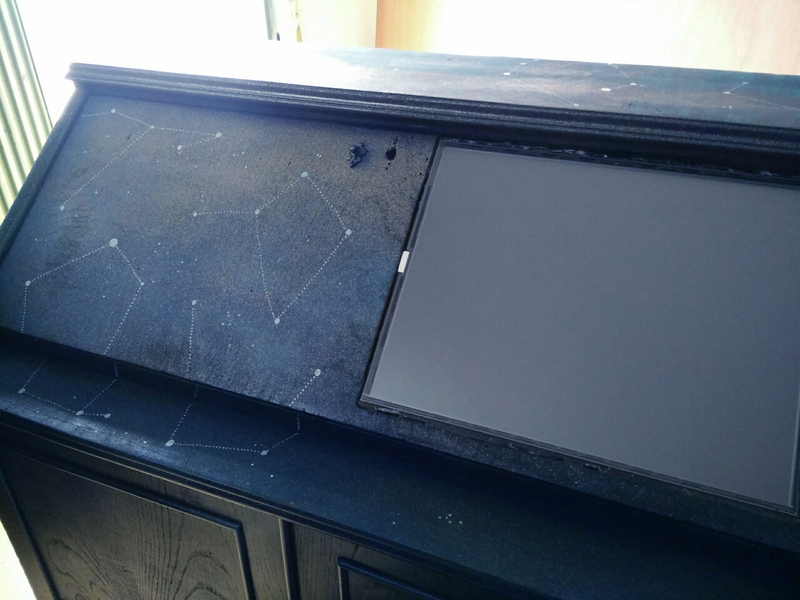 The top of the desk holds the touch screen which allows anyone to control the lights. 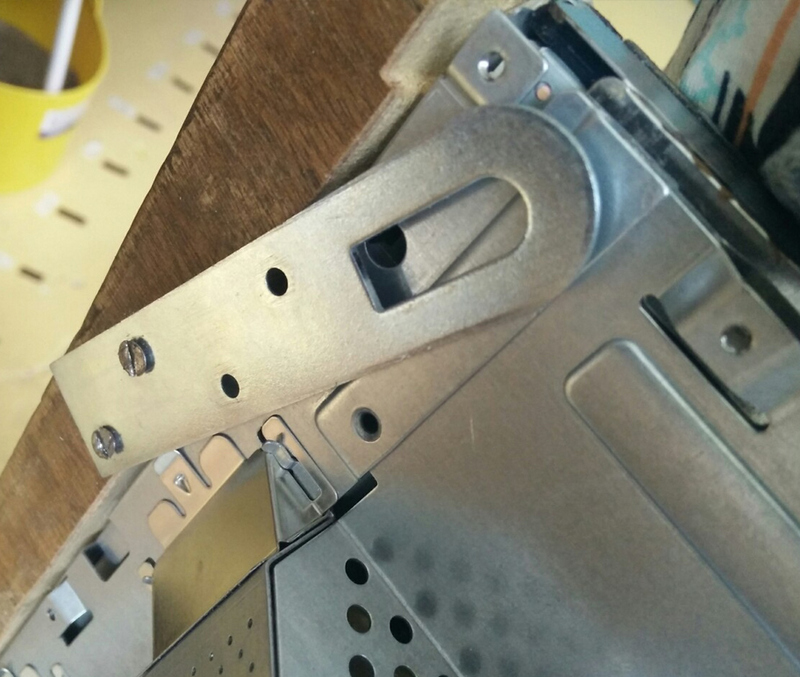 The bottom of the desk holds the computer which runs the software. 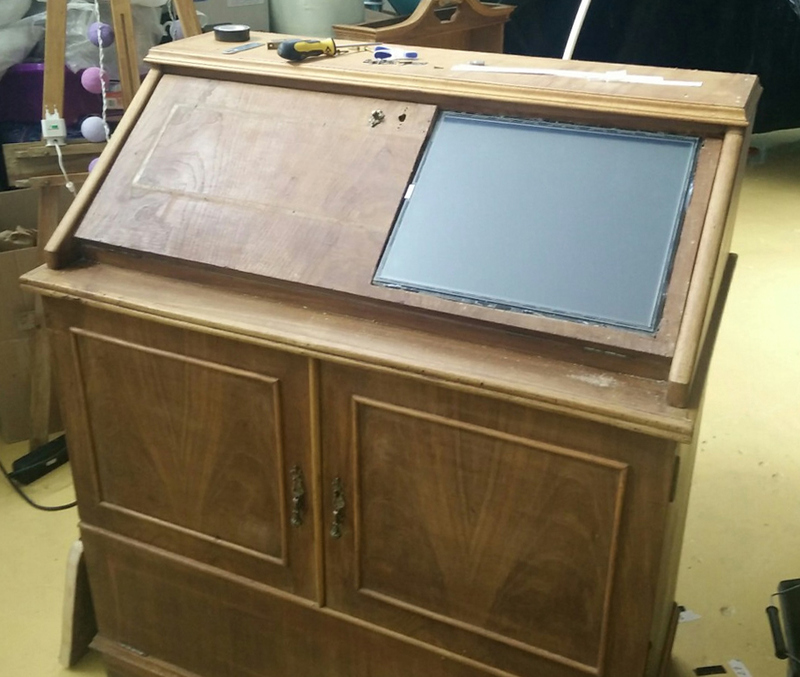 I bought this desk secondhand, and customised it by cutting a space for the touchscreen, making holes in the back for wires, and installing fans to keep the desktop cool in the 42°C heat of the Spanish desert. 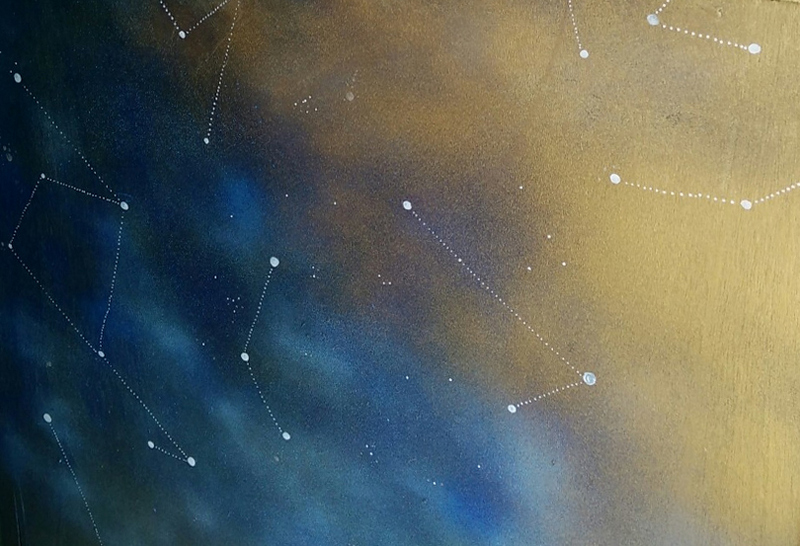 I also spray painted the desk blue and gold, and decorated it with constellation-like patterns.